in the porch of the Ascension of Our Lord Catholic Church,Louisiana,U.S.A. 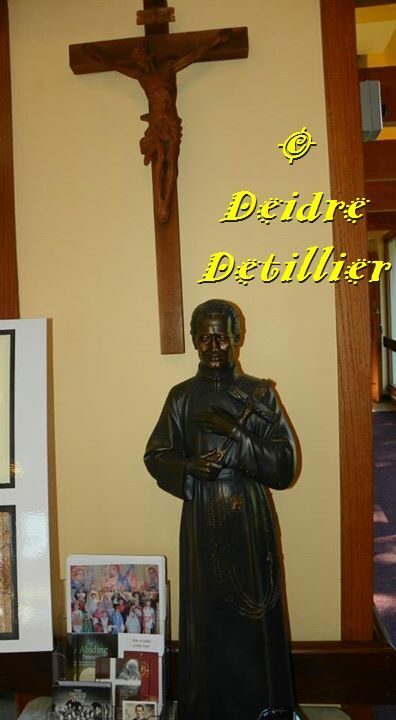 Parish Priest/Pastor of Ascension of Our Lord / St Francis of Assisi Church,Louisiana,U.S.A. 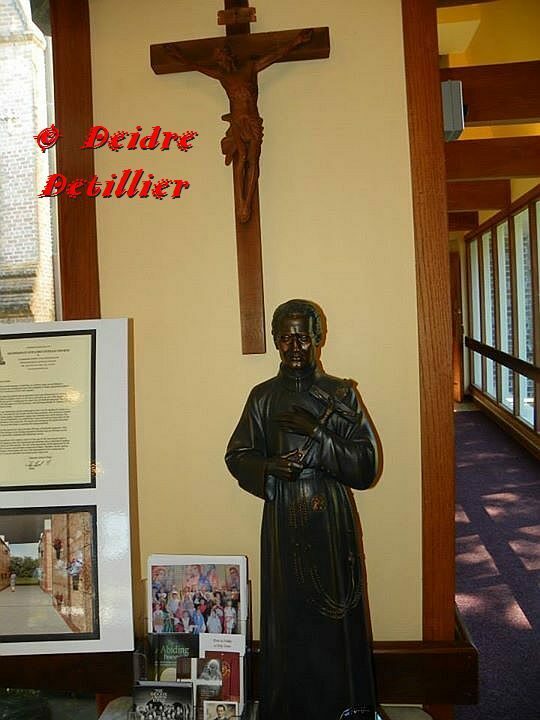 Father Paul Yi told us "I got the statue from the Seelos Center in New Orleans. 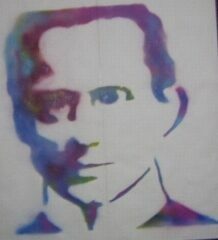 I have a personal devotion to Fr Seeos since my seminary days in Notre Dame Seminary in New Orleans. I use a relic to bless people when I give people anointing of the sick.". 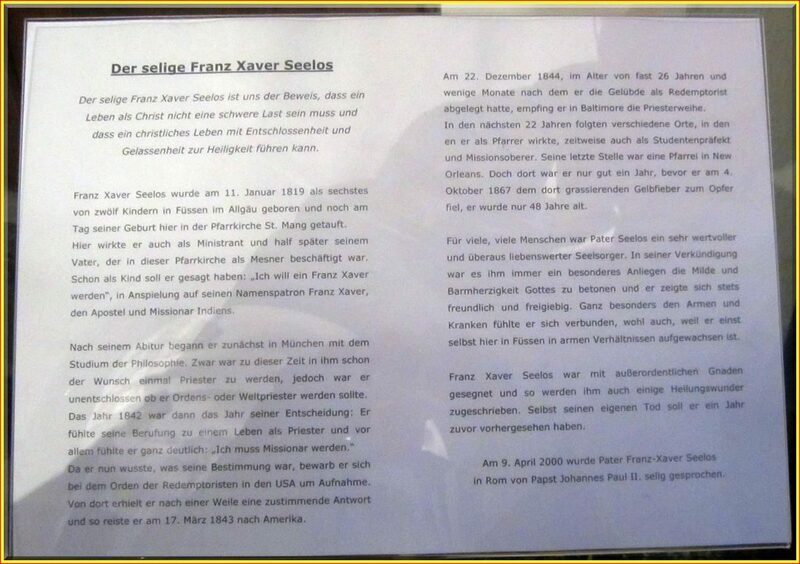 The annual Mass in honour of Blessed Francis Xavier Seelos was con-celebrated by the Dean of Marktoberdorf ,and Parish Priest of Füssen,Father Frank Deuring and the curate Father Gabriel Bucher,Deacon Friedl Hoffman also assisted at the Mass. 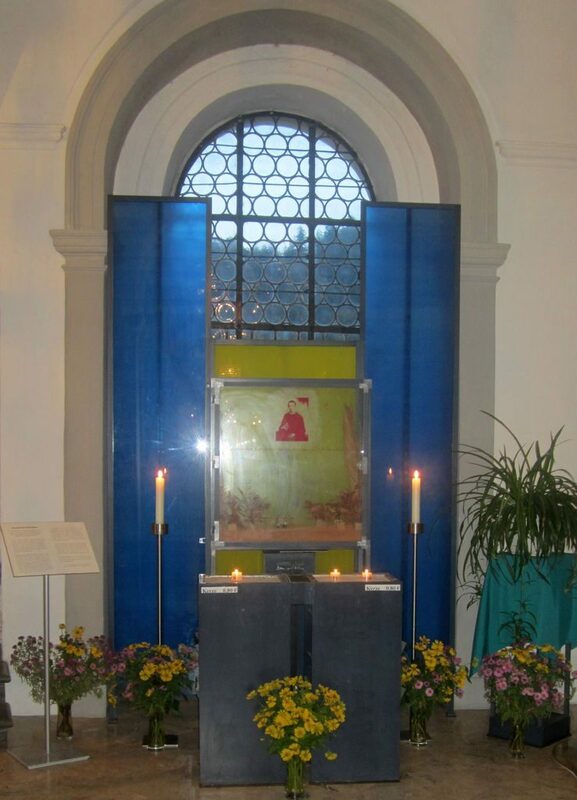 Locals gathered in St Mang Basilica Füssen to remember and thank God for Blessed Seelos who was born in their town and baptised in the Basilica on 11th Januar 1819. 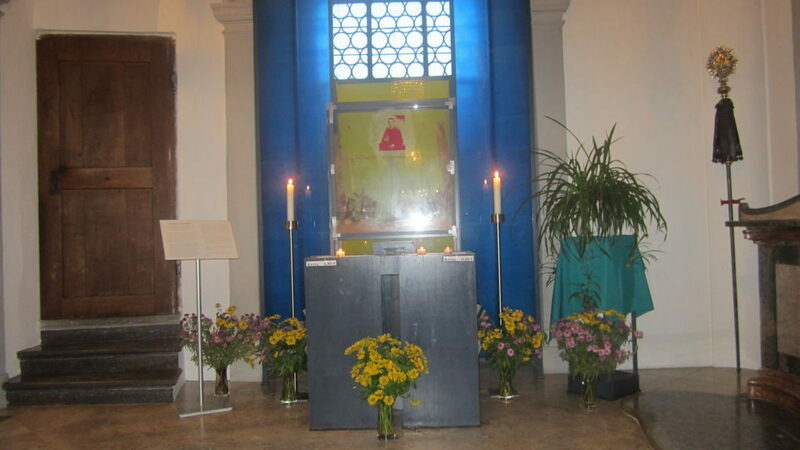 The bidding prayers during the Mass were taken from among the any thousands of petitions which are placed in the box at his shrine every year. The Congregation for Divine Worship and the Discipline of the Sacraments, in a letter dated July 25. 2014 (Prot. n. 645/13/L), granted its approval for the addition of the Optional Memorial in honor of BL. Francis Xavier Seelos to October 5 of the Proper Calendar for the Dioceses of the United States of America. In addition, the Congregation has granted recognitio for the official English translations for both the Collect at the celebration of Mass, and for the Biography, Second Reading, and Responsory at the Office of Readings (Prot. n. 447/14). Common of Pastors: For One Pastor, or from the Common of Holy Men and Women: For Religious. 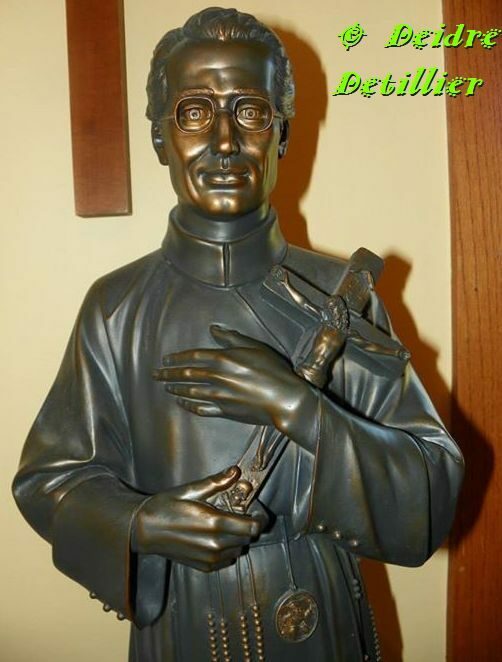 Born in Fussen, Germany in 1819, he entered the diocesan seminary and, coming to know the charism of the Congregation of the Most Holy Redeemer, joined it and was sent to North America. Ordained a priest in 1844, he began his pastoral ministry in Pittsburgh, Pennsylvania as assistant pastor of his confrere Saint John Neumann, serving also as Master of Novices and dedicating himself to preaching. He became a full time itinerant missionary preacher, preaching in both English and German in a number of different states. He died in New Orleans, Louisiana on October 4, 1867. This desire to bring a sacrifice to God again and again extends to everything that I ever loved in this life, and upon which my heart was set. When I think of the beauties of nature, these do not stir up longing and melancholy, but I am filled with the greatest joy, because, since I am not giving God any real and true gifts, I can give him imagined and pretended ones. At the same time, in the overflowing of my good fortune, I cannot at all get away from the thought that in heaven God will give me those that, for him, I have forsaken in the world, and for this I also constantly pray. 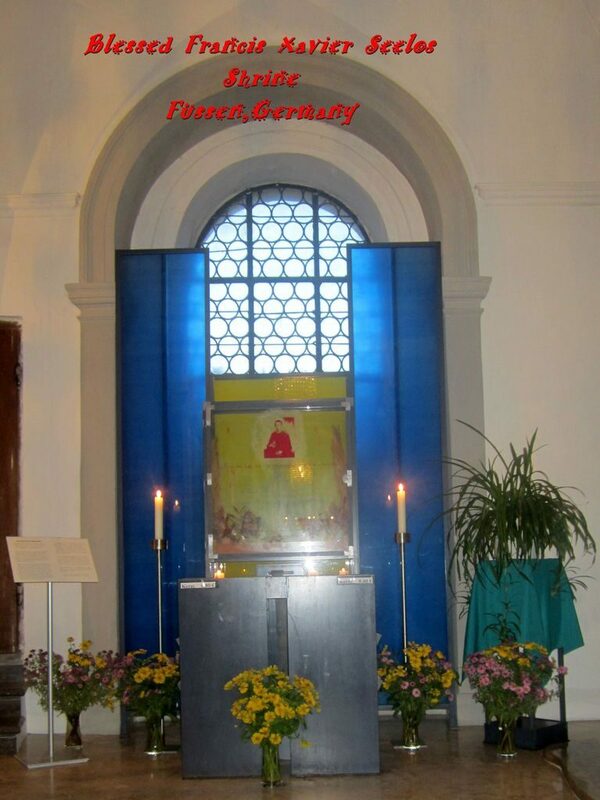 And so, the novitiate and its completion, the taking of vows, the life with confreres of the Order, and above all, the insight to cherish these goods to the best of my ability, so that there is nothing left for me to desire, except to fulfill my duties better – these were the first blessings of divine mercy. Everything was completely against my nature. But precisely the joyful acceptance of them, in God’s boundless grace, made so clear to me the mystery of renunciation and patience in this world that I feel that I am much too fortunate in the possession of my religious confreres and all the spiritual and temporal blessings that are bound together with it. And what is still more, that God has exalted me so high as to announce the Gospel to the poor, and to teach, and share with them his treasures. Every offering has value only insofar as one snatches it away from one’s own benefit and dedicates it to God through this self-conquest. One loves and gives precisely because one loves, and because one considers what is given as a good, as a treasure. Love of creatures must be subordinated to the love of God, whom one is pledged to love above all things. Time, in which we have found nothing to offer up to God, is lost for eternity. If it is only the duties of our vocation that we fulfill with dedication to the will of God; if it is the sweat of our faces that, in resignation, we wipe from our brow without murmuring; if it is suffering, temptations, difficulties with our fellowmen – everything we can present to God as an offering and can, through them, become like Jesus his Son. Where the sacrifice is great and manifold, there, in the same proportion, is the hope of glory more deeply and more securely grounded in the heart of him who makes it. O God, who made your priest, Blessed Francis Xavier Seelos, outstanding in love,that he might proclaim the mysteries of redemption, and comfort those in affliction, grant, by his intercession, that we may work zealously for your glory and for the salvation of mankind, Through our Lord Jesus Christ, Your Son, who lives and reigns with you in the unity of the Holy Spirit, one God, For ever and ever. the National Seelos Shrine to write a play about the life of Blessed Seelos.The play has been performed in many places in the United States and was very successful.It is a 90 minute one man play which contains 28 characters all played by Casey himself!Seelos in Füssen has learnt that the play is also a film.Casey told us " We have just finished a filmed version of the entire play which we filmed in a television studio in New Orleans. "As soon as it is available for sale we will let you know!